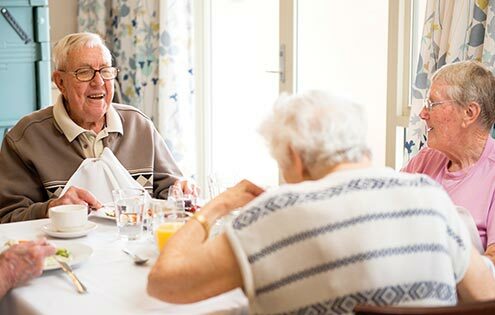 We want you to feel completely at home at Greenhill Manor, in fact we encourage our residents to maintain their existing lifestyle – just with extra support on hand whenever required. We have activities to suit all tastes and the service we provide makes our residents feel as if they’re living in a hotel. Our team will take care of all your laundry needs with our on-site laundry facilities. We also have a hairdresser and beautician who visit regularly, so you can stay looking and feeling your best. We have a packed schedule of activities and special events, so you’re sure to find something that tickles your fancy. We have pilates classes, movies, bingo and quizzes, fundraising events, bus trips for shopping and shows – even whale watching. 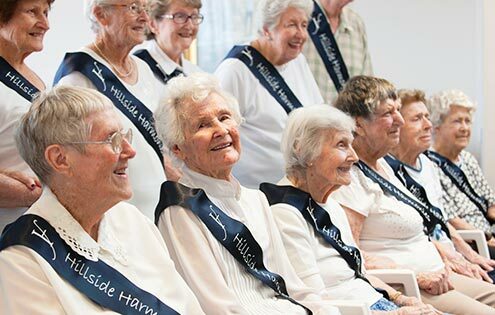 There are also numerous groups for you to join including our gardening club, walking group and the infamous ‘Hillside Harmonies’ choir. Our on-site chef and catering team provide a daily a la carte menu of well-balanced, nutritious and seasonal meals – freshly made with carefully selected ingredients. There’s always a choice on offer for breakfast, lunch and dinner and wine or beer is included as part of our Hallmark services. Between meals, feel free to help yourself to tea, coffee or a snack at the Lite Bites servery or Conservatory. At Greenhill Manor, the service we provide is our pièce de résistance. 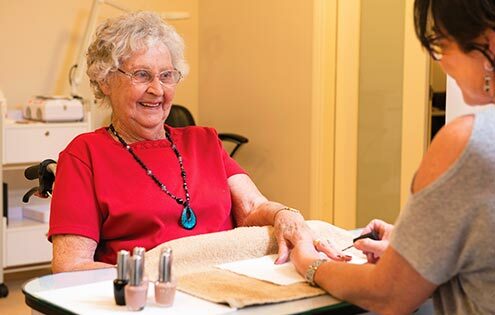 Unlike some aged care homes, we believe that every resident deserves superior-quality services. • A personal chambermaid service.